THE PEOPLE’S VOICE, a publication of the Zimbabwe African National Union-Patriotic Front (ZANU PF), published an editorial entitled ‘Social Media Key to ZANU PF Victory’ in its March 9 2018 issue. l That most opposition parties think they are benefitting from the generally negative effects of social media because the propaganda herein is perceived to be generally anti-state and anti-ZANU PF. As I pointed out in many instalments to this column in the past, African relational philosophy can be illustrated through the institution of the pungwe. The pungwe is organised as a big circle, daririo. As a circle it avoids ‘blind corners’ which we see in linear structures. In fact, the circle has no ‘blind corners’ from the perspective of those participating in it. The pungwe in the liberation struggle setting was a review system where all sectors were brought to review the situation of the district or province before going into battle the next day. So, cadres from intelligence, reconnaissance, logistics, food, health and the commissariat had to be included. The pungwe as a dariro represented inclusivity and thoroughness. The freedom fighters could not afford to leave out a critical sector. l Where are these 60 percent of voters who are considered as ‘youths’? Where are they in terms of geography, in terms of income, class, education and so on? For all we know, computers, smart phones, data bundles and airtime are too expensive for the majority of youths in Zimbabwe. Even those who are based in urban centres, well-educated and fond of using social media, often have to harass their parents for money to buy airtime and data bundles. People who can barely afford basic livelihoods do not patronise social media. l The editorial assumes a tight correlation between frequent access to social media and the 60 percent of voters considered to be young people. But how many of them enjoy such access? l The editorial mistakes mere connectivity for resonance. The people who interact on social media maybe like-minded young people, which means they are really not out to win each other or one another over to a certain party or ideology. They enjoy interacting as like-minded people. A message achieves resonance only when what is discussed by certain minorities with access to social media is constantly echoed or confirmed on the ground by people with no such social media access. l The editorial also does not explain the relationship between the minority social media and conventional media such as radio, television and newspapers. Since the conventional media remain sceptical and even critical of social media, it is not clear how the latter have become ‘key’ to ZANU PF’s victory in 2018! A social media programme for ZANU PF makes sense as part and parcel of its international communications programme, given the fact that social media play a more significant role in Europe and North America than in Zimbabwe. l What is even more astounding is that the editorial itself characterises social media in Zimbabwe to date as mostly playing a heckler role. If that is the case, these platforms just need to be heckled back or to be exposed simply as mere hecklers who have no regard for ethics, morality, accuracy or thoroughness. The need to tackle them, which the President articulated very well at the Youth League meeting, does not make the same platforms ‘key’ to ZANU PF’s election victory in 2018. 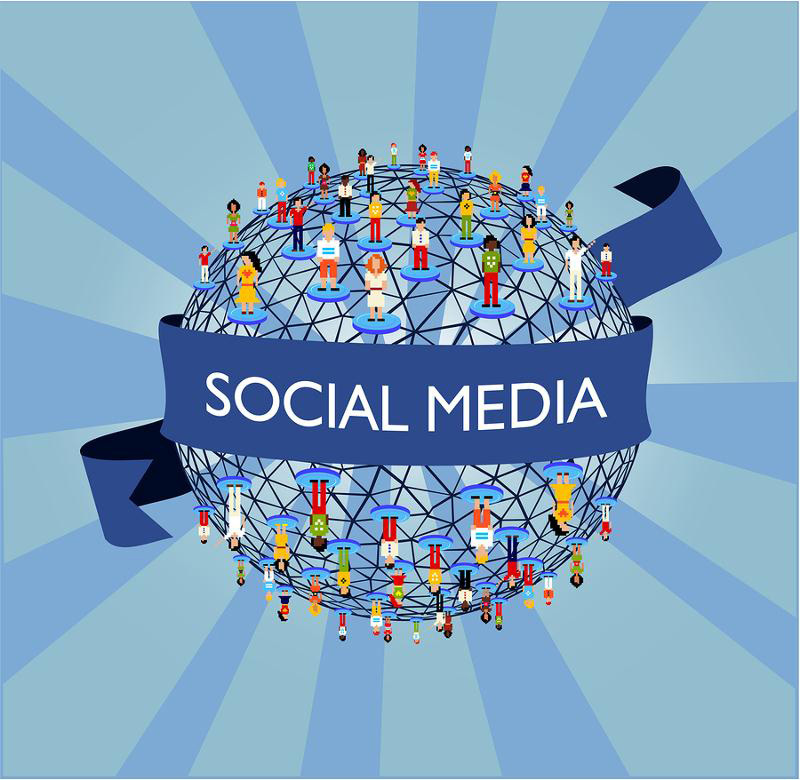 Social media may be more significant for improving Zimbabwe’s image overseas. Sixth: Where the agenda and the enemy pushing it are mostly external, the power of media platforms over organic sources of knowledge and information on the ground is deliberately magnified out of proportion; so that, for instance, in September 2017, food shortages were projected and portrayed on social media as imminent despite the ubiquitous evidence of GMB silos overflowing with maize throughout the countryside. The Old Mutual rate was just a platform owned by certain sectional interests but social media and Standard Business did not tell readers that fact. Seventh: In the resulting climate of opinion where disembodied and cyber-based platforms shut out or eclipse grounded and organic sources of intelligence, nervous policy-makers are likely to find themselves mistaking their hecklers for their real constituency; they are prone to replacing their organic stakeholders and audiences with hecklers in pursuit of sectional or even foreign interests. Media platforms playing a primarily heckler role cannot hold the key to who people vote for on the ground. Focus must remain on platforms which reach the majority and can honestly relay the contents of each party’s manifesto to the voters. That is not achieved through mere heckling. In the eighth place, once media platforms overshadow organic sources of intelligence or totally eclipse them in a platform-based ‘emergency’ or ‘crisis’, the same platforms are exposed for what most of them have become: primary sources of terror messages, half-truths and lies. North Korea will never be what US President Donald Trump tweets about it. On the African continent we perhaps have three examples which should serve to moderate our estimation of social media. l The first is Kenya. The candidates who were most popular on social media platforms did not win the vote because too many followers on those platforms did not vote, were not even registered to vote. l The second is Egypt, where social media played a huge role in creating the crisis called ‘The Arab Spring’ which fizzled out completely. There has been no ‘spring’ on the ground in Egypt. l The third is Libya, where social media were heavily used to create a crisis but failed to coalesce into any meaningful internal mobilisation. Here, the social media mainly helped to create conditions for foreign invasion of the country.